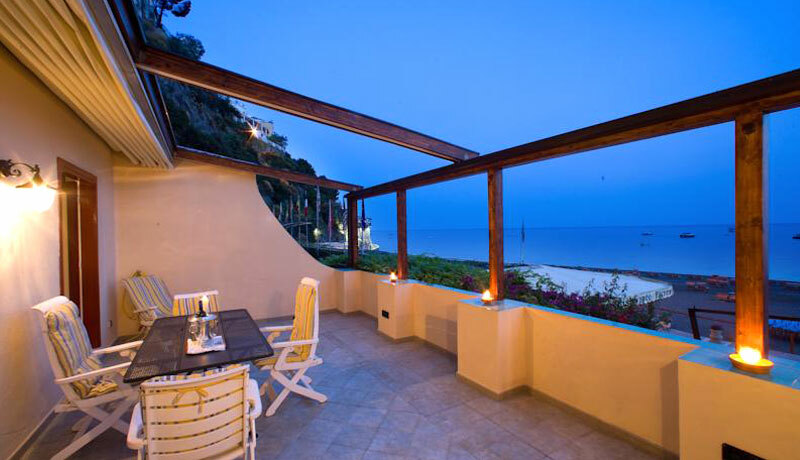 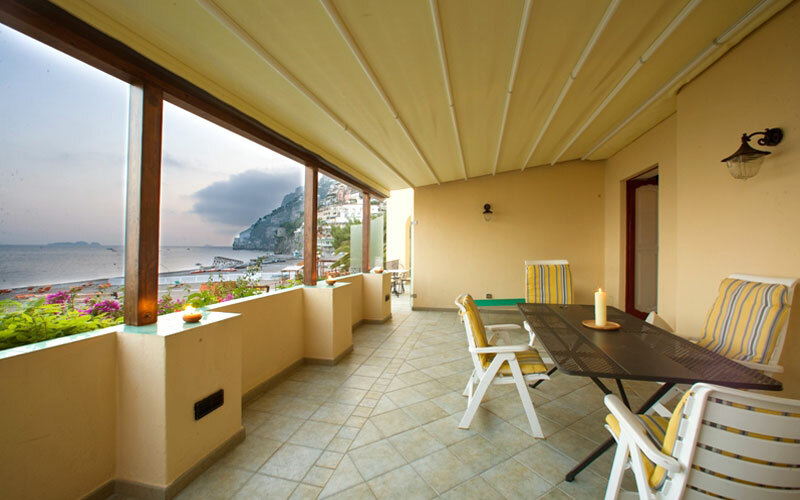 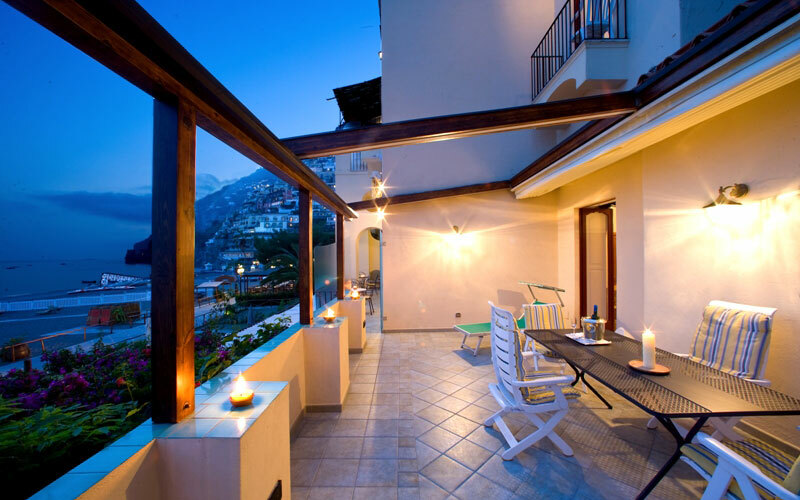 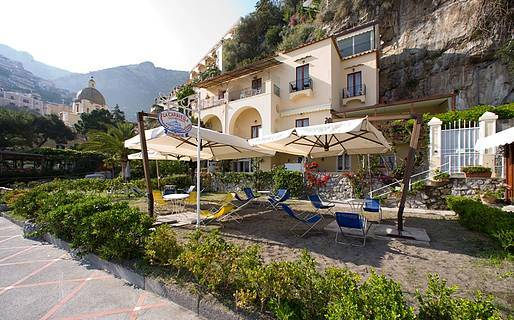 Stay in the heart of Positano just a quick walk to the Spiaggia Grande beach at La Caravella Positano Beach, the perfect residence to savor Positano all year round, relax on the beach, and admire the sparkling waters of the Mediterranean. 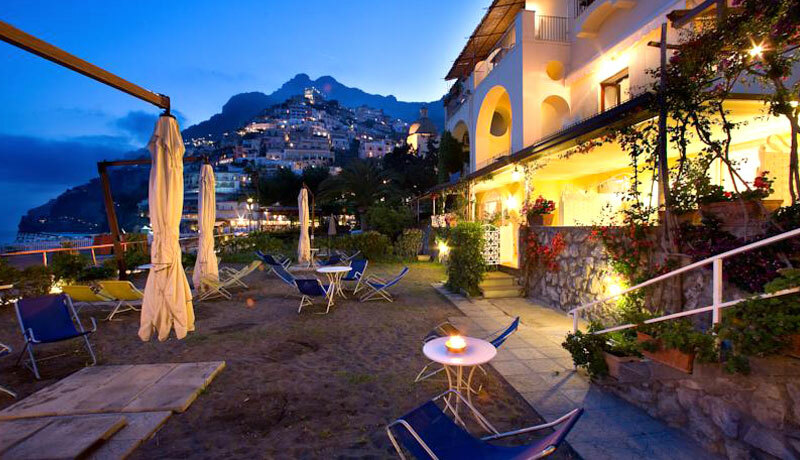 Just a few meters from the water's edge and the charming maze of twisting lanes lined with boutiques and restaurants in the historic center of Positano, the 12 apartments at La Caravella are in the most strategic location possible. 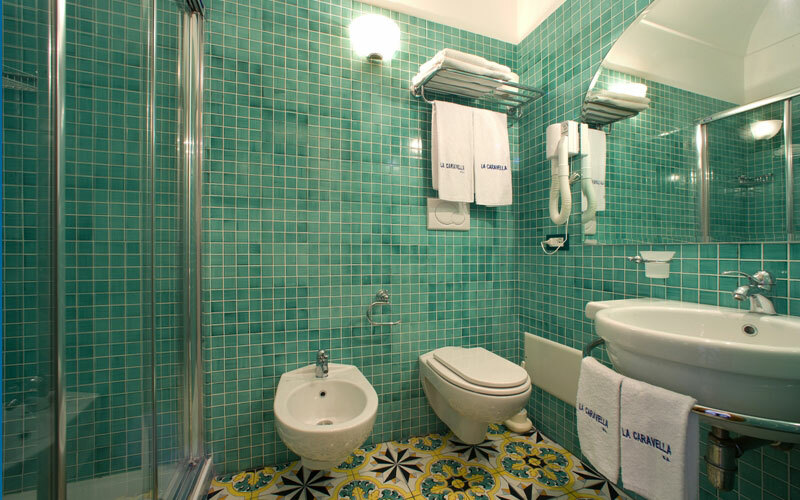 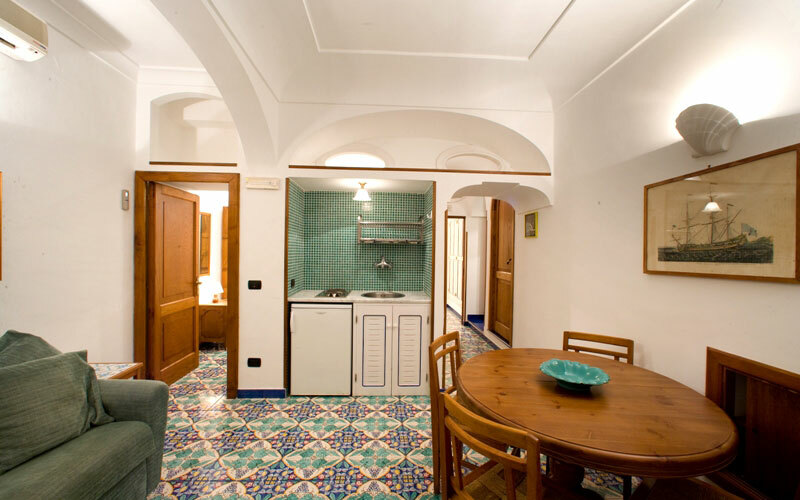 With the simple Mediterranean decor of bright colors and hand-painted majolica tiles, you'll feel right at home in your private coastal retreat. 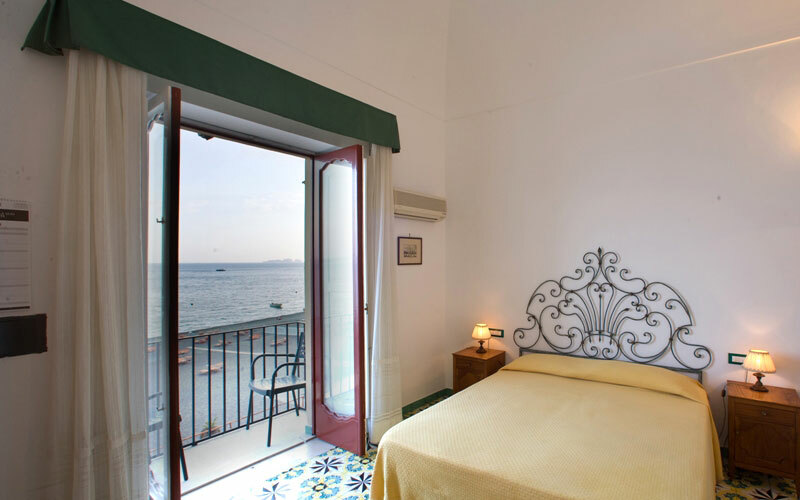 Each apartment has been designed with your comfort in mind, and you can enjoy the views over the water from the Camere Li Galli or Camere Vista rooms. 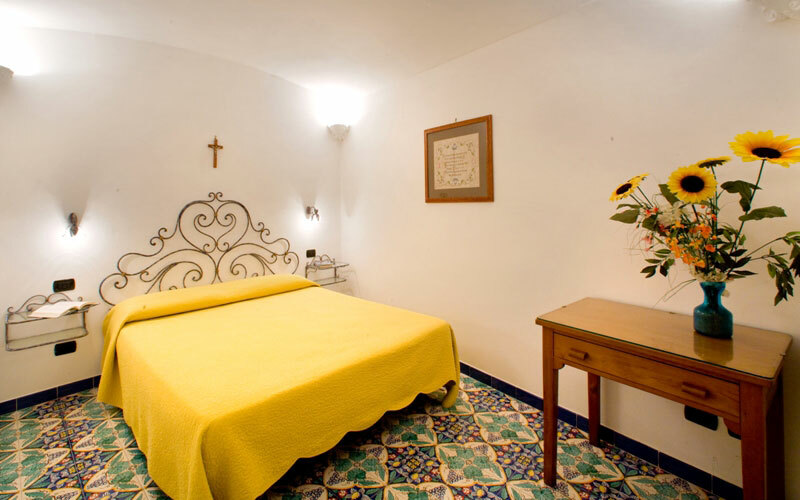 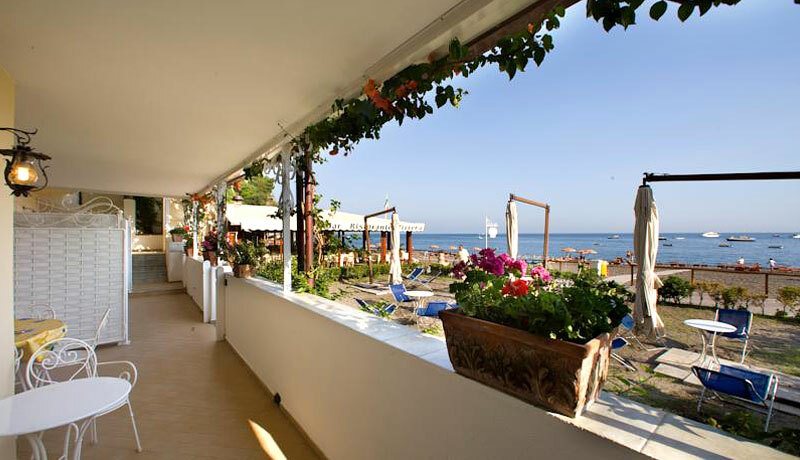 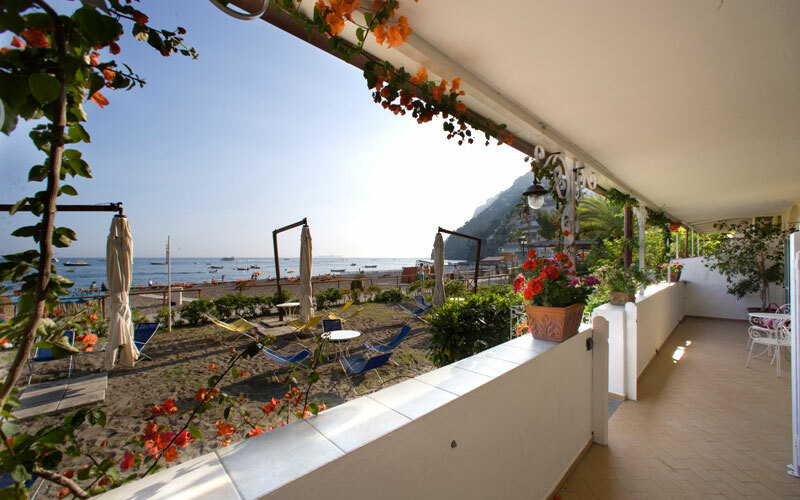 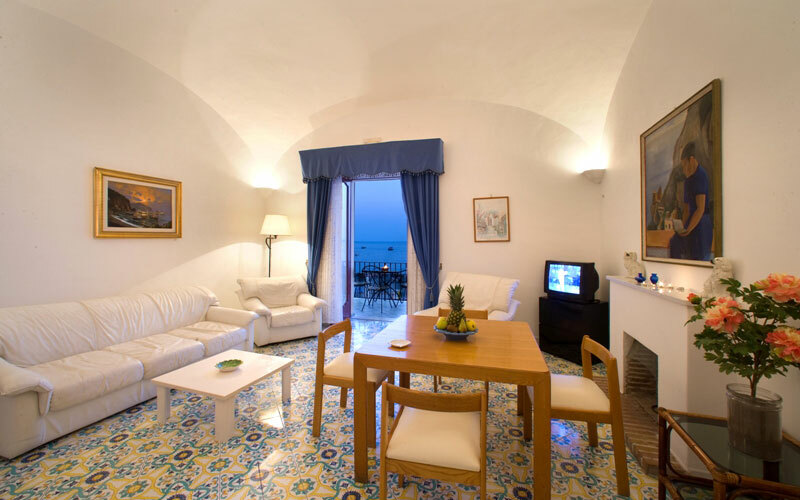 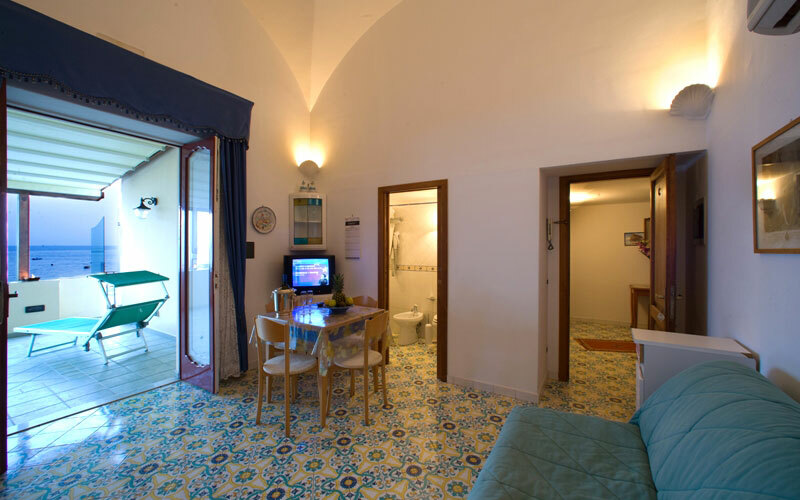 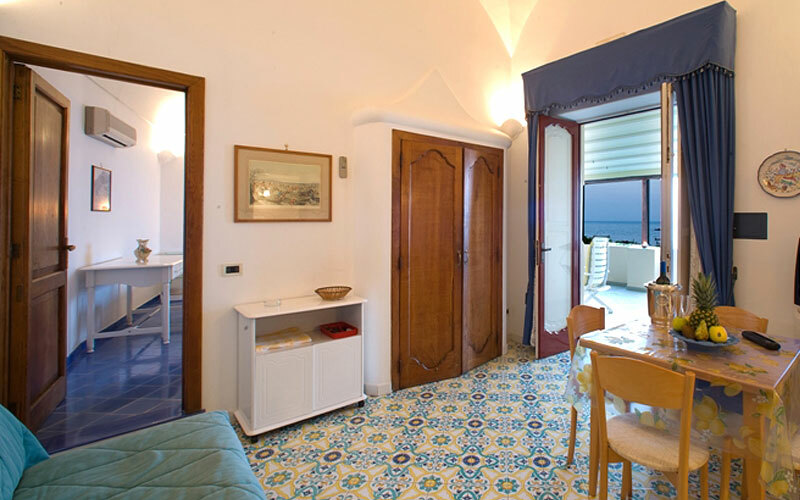 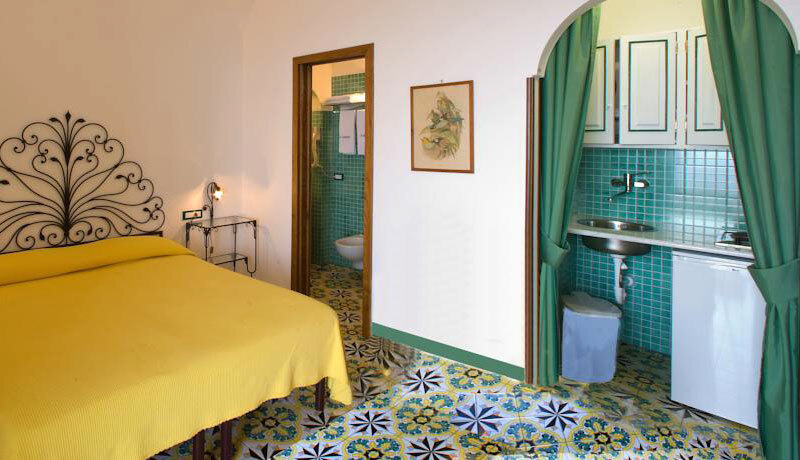 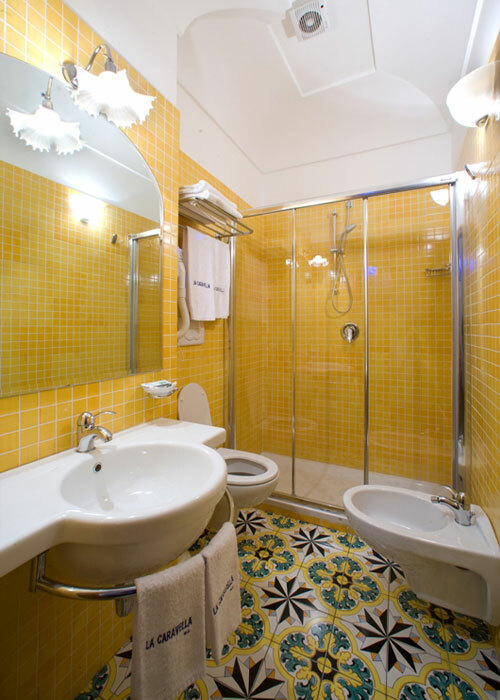 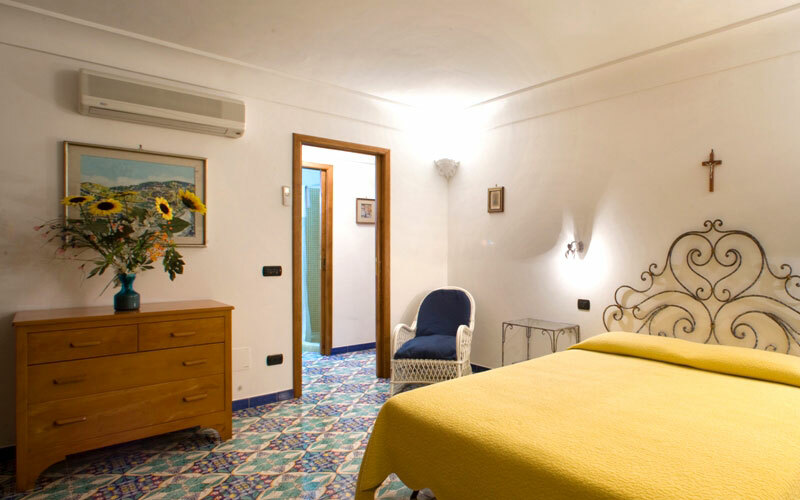 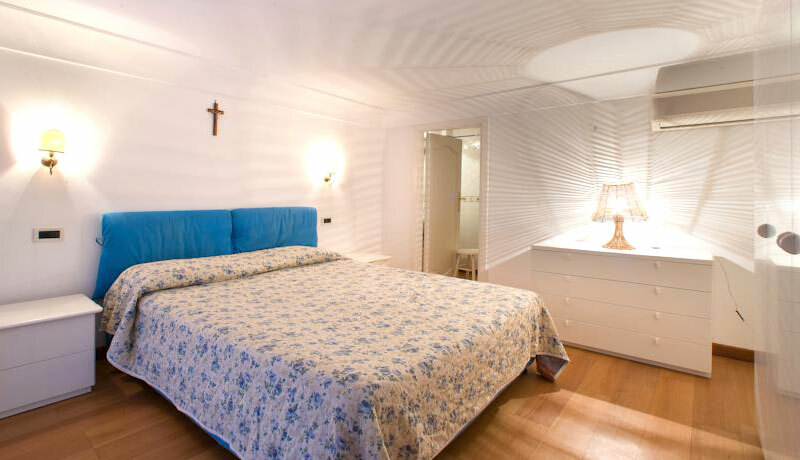 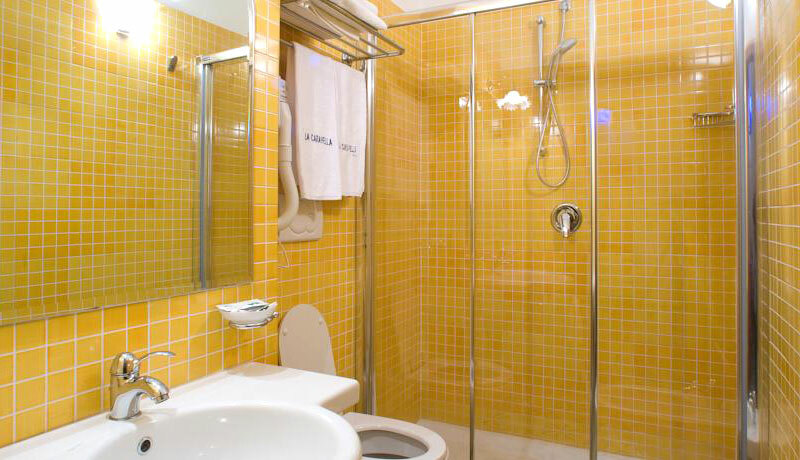 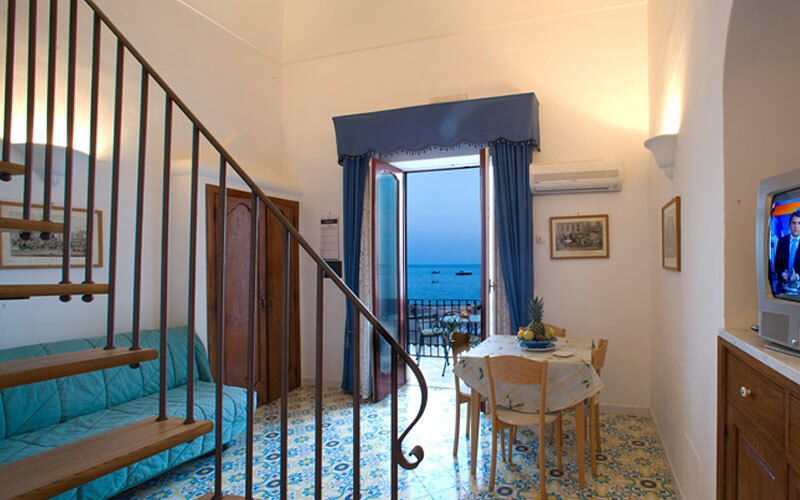 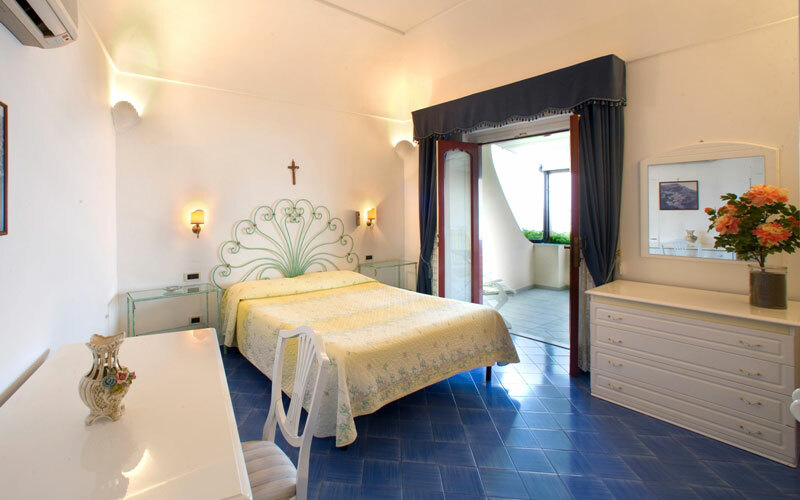 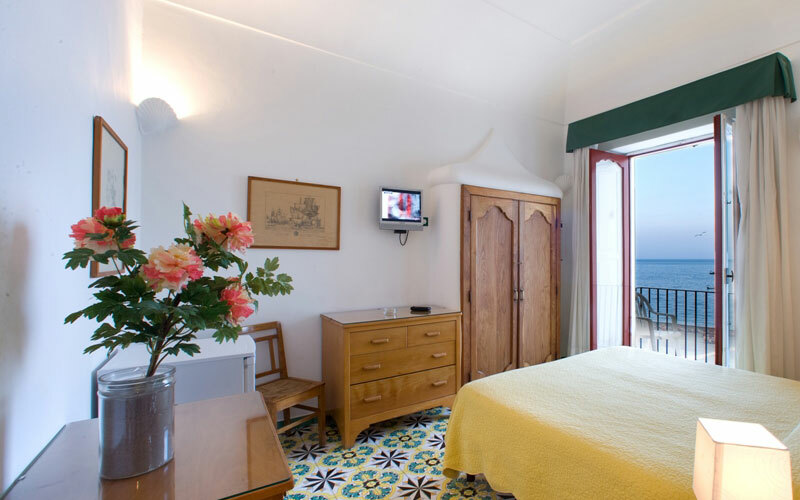 Other accommodations, including Edera, are located directly on Positano's Spiaggia Grande beach. 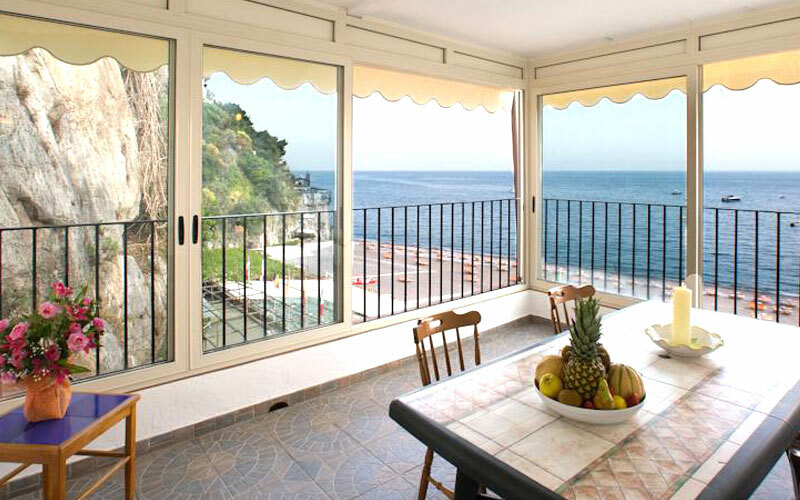 Some apartments can sleep up to 6 guests and have a private entrance and a small private beach area. 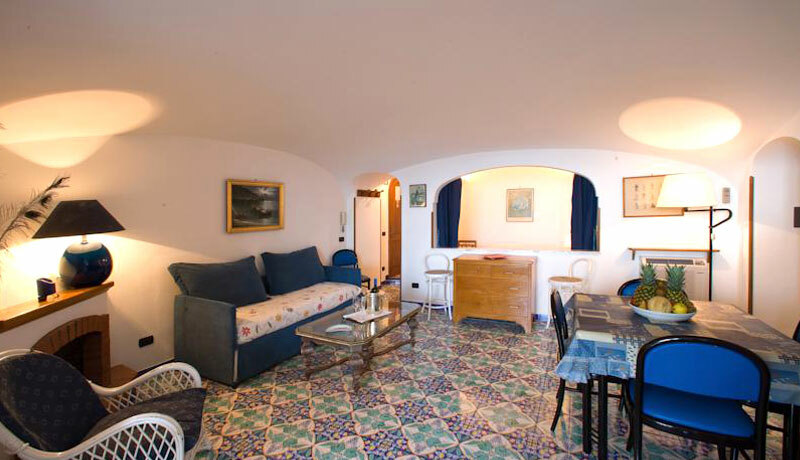 The Sole apartment is on two separate levels and has a lovely fireplace in the living room, perfect for fall and winter stays! 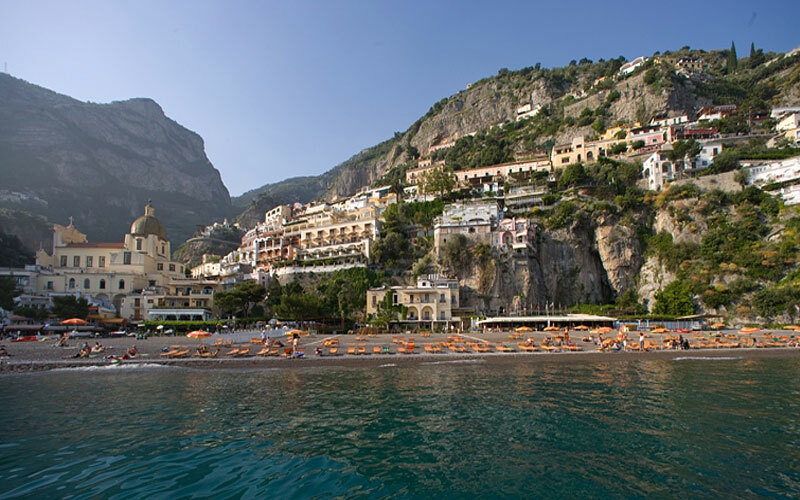 Positano is the pearl of the Amalfi Coast, surrounded by dramatic cliffs, sweeping views, crystal clear water, and some of the best restaurants on the coast. 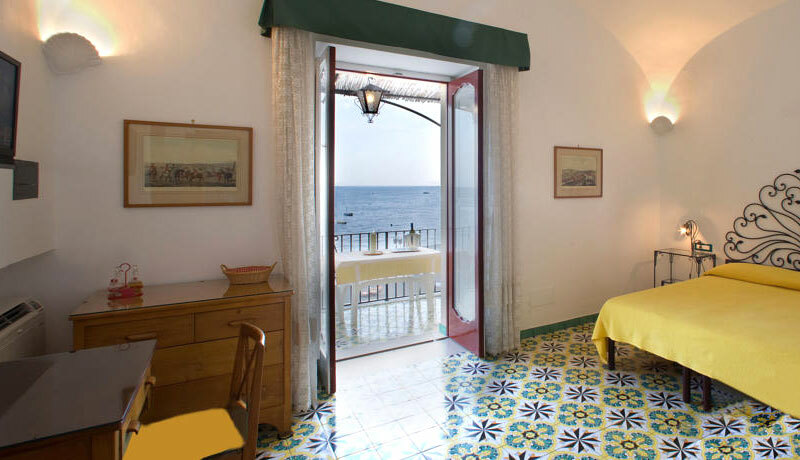 From Positano, it's easy to explore the other famous towns along the coast, including Amalfi and Ravello, or head further afield to visit the archaeological sites in Pompeii and Paestum. 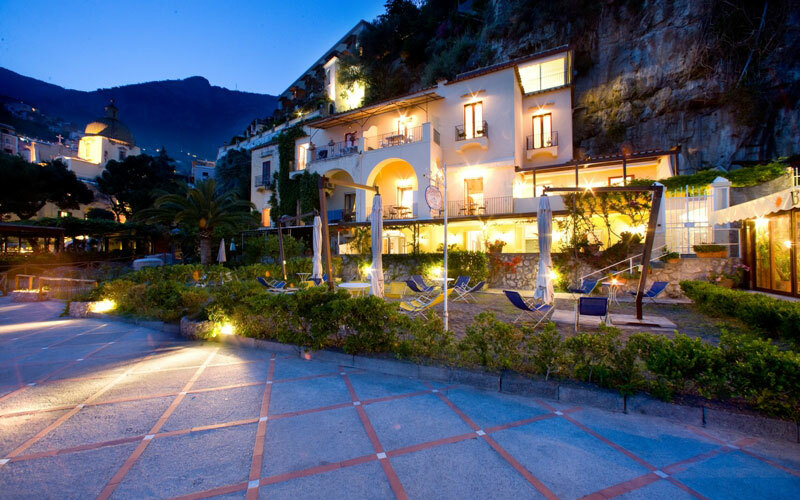 In addition to all the coastal superstars, from La Caravella you can also discover some of the area's breathtaking hidden gems, including the the historic village of Nocelle or the hamlet of Montepertuso, tucked in the Lattari Mountains. 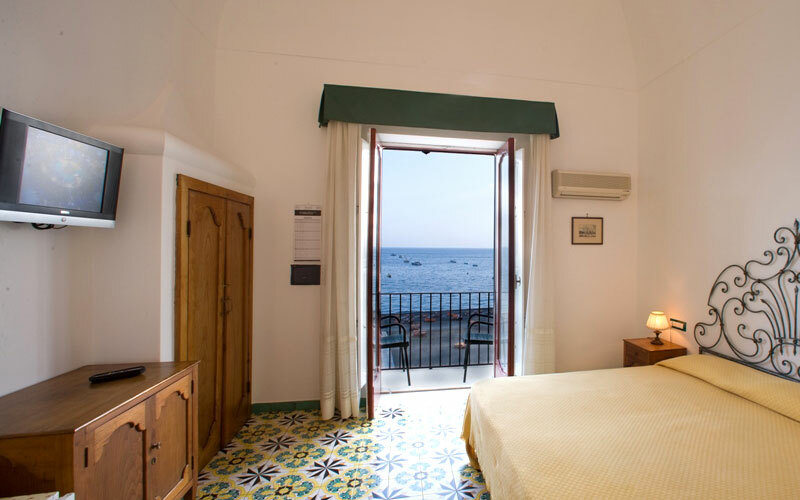 The Caravella overlooking the crystal-clear waters of the Mediterranean Sea, ideal locations for a summer holiday at sea but also for a romantic holiday during autumn or winter.